Morgen McLaughlin is the Executive Director of the Santa Barbara County Vintners’ Association a nonprofit membership organization representing over one hundred wineries in Santa Barbara County, California. Previously she was the president and CEO of Finger Lakes Wine Country Tourism Marketing Association, a regional tourism marketing association in the Finger Lakes region of New York State and owned and managed a small vineyard and winery in Connecticut. Morgen has undergraduate degrees in English and Secondary Education from Boston College and is completing her Wine Business Management Certificate from Sonoma State University. In her free time Morgen enjoys hiking, cooking, traveling, wine and spending time with her husband and three sons. associate, vineyards, vineyard management companies, hospitality, and industry associate members. The association produces festivals, educational seminars and tastings, and provides information to consumers, trade, and media. Individual wineries make many contributions to the local community, through donations of product, personnel and monetary support. In addition, the Santa Barbara Vintners' Foundation hosts special events where the proceeds of which go in part to local nonprofit organizations and the Santa Barbara Wine Auction benefiting Direct Relief. More than a mix of rich history, gorgeous beaches, and warm blue waters, the countries along the Mediterranean Sea and their people have a history of living longer and healthier lives and you can too! By simply following a Mediterranean diet rich in olive oil, nuts, beans, fish, fruits and vegetables, even drinking wine with meals, you can prevent diseases and prolong your life. Using the Mediterranean Pyramid as a guide, cuisine expert Amy Riolo gets to the core of the Mediterranean lifestyle, and explains what is eaten, when to eat it, and why. Each recipe in The Ultimate Mediterranean Diet Cookbook contains a cultural tip from the Mediterranean region. Fun historical facts, legend, and lore, as well as nutritional information accompany each recipe. The Ultimate Mediterranean Diet Cookbook features recipes from all countries in the region to include perennial favorites, little known treasures, and recent discoveries. Get ready to enjoy a healthy lifestyle that includes enticing, satisfying, recipes- great for family dinners and entertaining, for any and all occasions, to be appreciated by any palate. As an award - winning author, chef, television personality, cuisine and culture expert, and educator, Amy Riolo is known for sharing history, culture, and nutrition through global cuisine. She makes frequent appearances on numerous television and radio programs both in the United States and abroad, including Fox TV, CBS, Montgomery and Fairfax County TV, Nile TV, The Travel Channel, Martha Stewart Living Radio, WHYY, and Abu Dhabi Television. Amy also created and appeared weekly in ninety second cooking videos entitled “Culture of Cuisine” which air on nationally syndicated news shows on 28 different channels across the United States, totaling a reach of over 300 million people. One of her videos recently reached a record of four million hits. 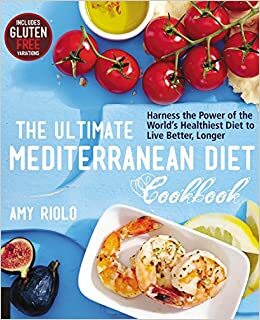 Amy’s most recent book, The Ultimate Mediterranean Diet Cookbook was released in April 2015 and has already earned 5 star reviews on Amazon as well as many positive reviews. Her seventh book, The Italian Diabetes Cookbook will be released in January 2016. Her third book, The Mediterranean Diabetes Cookbook, (American Diabetes Association) was released in March 2010, received a starred PW review, won the 2011 Nautilus Book Award and was named “Best. Diabetes. Cookbook. Ever. “ by DiabetesMine.com. Her second book Nile Style; Egyptian Cuisine and Culture (Hippocrene Books) won the World Gourmand Award for "Best Arab Cuisine Book" in the United States and was just released in a second edition. Her first book, Arabian Delights; Recipes & Princely Entertaining Ideas from the Arabian Peninsula was chosen as one of the “16 Volumes Worth Staining” by the Washington Post (Capital Books, 2007). Amy also contributed to The Food Cultures of the World Encyclopedia and co-wrote The Al Tiramisu Restaurant Cookbook: An Elevated Approach to Authentic Italian Cuisine with award-winning chef/restaurateur Luigi Diotaiuti. Amy, and American of Calabrian descent, was recently awarded the Wise Women 2015 award from The National Organization of Italian American Women. She is a Culinary Advisor for The Mediterranean Food Alliance. Her work has appeared in numerous print media including USA Today, Cooking Light magazine, The Washington Post, CNN.com, The Wall Street Journal, Gulf News, Popular Anthropology Magazine, The UAE National, and international newspapers and hundreds of blogs. She is also the author of a noted culinary/cultural blog called Amyriolo.blogspot.com. Amy is frequently asked to lecture and give demonstrations on diabetes-friendly eating, and cuisine and culture at medical conferences, book fairs, universities, culinary symposiums, museums, embassies, fundraisers, libraries, and farmer’s markets on over three different continents, and five states in the USA. Last year her live audiences alone totaled 18,350 people. With the addition of podcasts, her popularity and viewership has grown immensely. As a successful restaurant consultant and graduate of Cornell University, Amy enjoys developing concepts, action plans, recipes, training seminars and guides, and themes for corporations, restaurants, and hotels. Amy has created menus for many world leaders, earning her the title “Cook to the Kings” from a Cairo newspaper in 2008. She has consulted international business owners on bakeries, cafes, restaurants, and culinary stores where she taught vocational baking classes for thousands of pastry chefs. Amy has taught recreational classes at Living Social, Sur la Table, and Open Kitchen in Washington, DC. Internationally, Amy had led professional and recreational cooking classes in Italy, Egypt, and the UAE, and leads culinary tours. Amy also uses her culinary expertise to write scripts for culinary movies and television programs. She just completed filming a demo for the Two to Travel television series with Chef Luigi Diotaiuti. The duo also created a video documentary entitled The Beauty of Basilicata at the James beard Foundation. 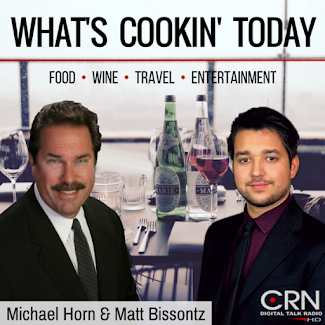 They also led a culinary cruise from Istanbul to Athens on Oceania Cruises in October 2014. She is a member of The International Association of Culinary Professionals, Cornell Club DC, Les Dames d’Escoffier (Global Culinary Initiative Chair), Slow Food DC, The James Beard Foundation, The National Organization of Italian American Women, and the Culinary Historians of Washington. In addition to her professional work, Amy spends a great deal of her time supporting philanthropic efforts. Amy can often be found mentoring culinary students, teaching children’s cooking classes, and participating on panels for charity events. One of the highlights of her volunteering career was chairing the Baltimore Luxor Alexandria Sister City Committee which enabled her to obtain a grant to provide clean drinking water for a village outside of Luxor, Egypt. Amy is based in the Washington, DC area and travels extensively through the Mediterranean region.